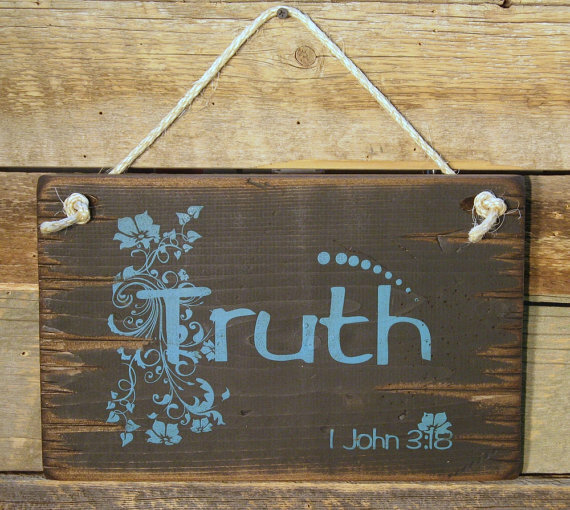 Truth, 1 John 3:18. The truth is sometimes hard to tell, but its even harder if you don't. This black background sign measures 9x14 and comes with the grass rope hanger for easy hanging. Handcrafted with pride!